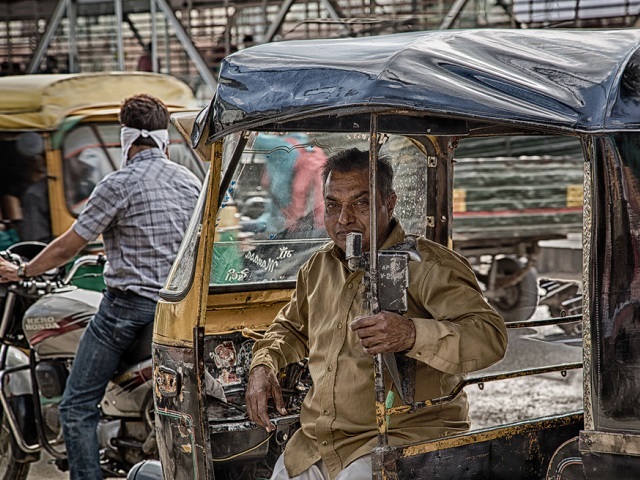 Conducting Health Impact Assessments can help policy makers throughout India choose transport projects that will decrease air pollution, while increasing connectivity and health. Photo by John Hoey/Flickr. Typical transport investment and policy proposals in India often consider few factors, some being connectivity with surrounding areas, land use and socioeconomic impacts, available funding, and the level of support from local stakeholders. All too often, these assessments consistently overlook the health impacts of transport. Despite this, there is a consistent and powerful connection between transport and health. A steady increase in motor vehicles, especially motorized two-wheelers (motorcycles and scooters), in India has led to an alarming rise in air pollution levels, traffic injuries and fatalities and chronic diseases due to decreased physical activity. For this reason, India urgently needs a robust Health Impact Assessment (HIA) methodology to evaluate the health impacts of transport projects prior to implementation, allowing cities to pursue only those projects that benefit health and safety while decreasing air pollution. Cities across India currently face a growing number of problems related to air pollution and a drop in physical activity, which are largely by products of transport decisions that did not take local stakeholders into account. For example, in late January 2014, Delhi’s average daily peak reading of PM2.5 – the most harmful type of particulate matter – reached close to 500, 20 times the level deemed healthy by the World Health Organization (WHO). The severe pollution contributed to respiratory issues like asthma, and in some cases heart failure, lung cancer and even early death. One of the largest contributing factors to this disastrously high level of air pollution is the growing number of cars on India’s roadways. Along with air pollution, lack of physical activity is another silent and preventable killer. Inactivity is responsible for over three million deaths per year globally. It is a leading risk factor for a number of diseases, many of them chronic, including obesity, type two diabetes, heart disease, and cancer. India is now facing a rising obesity epidemic due in large part to the increasingly inactive lifestyle of its residents. It is easy to see why people choose to drive rather than walk, for poor walking and cycling infrastructure, combined with wide roads and heavy traffic, poses safety concerns and discourages people from more active modes of travel. While some Indian cities are exploring congestion pricing schemes, a less resource intensive and more preventative measure is to use a Health Impact Assessment at the beginning of any proposed transport plan. A Health Impact Assessment is a systematic process to evaluate the potential health impacts of any plan, project or policy before implementation. Following an evaluation of the original plan, those working on the assessment can then recommend appropriate corrective or preventive measures to manage the health impacts of the proposed plan or policy. Transport Health Impact Assessments can take place at any level, from site to corridor, city, region, and nation, and can be led by trained researchers or volunteers. Health Impact Assessments differ widely in scope, depth, and level of public engagement but they usually follow six broad steps: Screening, Scoping, Assessment, Recommendations, Reporting and Monitoring and Evaluation. The most efficient way for governments to meet public health objectives even with limited resources is to find developments and policies that have multiple benefits, such as those that simultaneously reduce pollution and traffic fatalities and increase physical activity. Health Impact Assessments can be used to find those transport projects that will deliver multiple benefits. Even conservative estimates reveal that the impact in terms of reducing mortality and saving lives from sustainable transport investments are substantial. In the pilot application of the Health Impact Assesment methodology to the recently implemented bus rapid transit (BRT) corridor in the City of Indore, Madhya Pradesh, EMBARQ India’s team estimated that roughly 19 lives can be saved per year after 2014, due to fewer trips in private cars, reduced exposure to air pollution, and health benefits from increased physical activity. Multiply this gain throughout dozens of India’s cities, and that can translate into hundreds of lives saved. If transport planners consider the health and human impacts of transport in policy making, it will lead to improved decision-making and much greater health benefits and savings in health-related costs for the country and its citizens. For a detailed Health Impact Assessment framework and a pilot application quantifying health impacts of air pollution, traffic injuries and fatalities, and physical activity, refer to the EMBARQ India Issue Brief on Integrating Health Benefits into Transportation Planning and Policy in India.